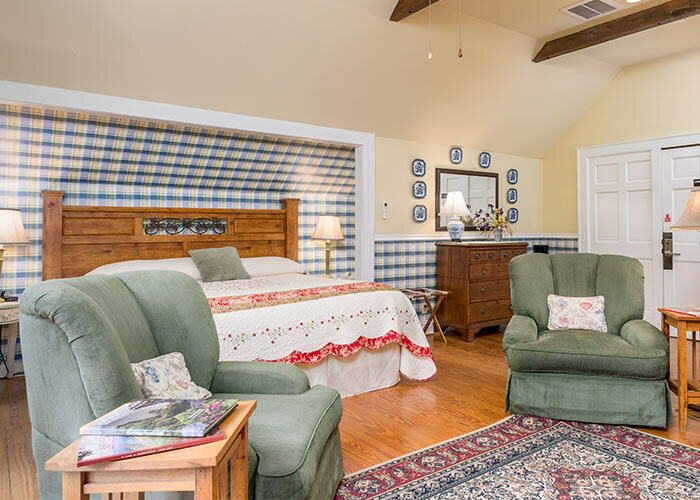 At Highland Lake Inn & Resort, we offer guests a wealth of amenities and options, all at an uncompromising value. There are no other hotels or resorts near Asheville, NC, quite like us—encompassing such a wide range of enticing amenities and accommodations. Poised atop 26 scenic acres on a private lake in the town of Flat Rock, NC in Western North Carolina, our goal is to deliver an authentic mountain experience that’s as vast and varied as these storied hills. Experience a resort that is rich in history, passionate about the environment and eager to deliver warm hospitality. A variety of accommodations sure to please. Relaxation doesn’t always require rest. We start with the freshest ingredients — many hand-picked from our own organic garden. Our chefs then craft award-winning cuisine for an unforgetable dining experience. And when we say complimentary breakfast, there is nothing continental about it. Meeting space as unique as your team. The perfect place to begin together. Another good reason to gather.